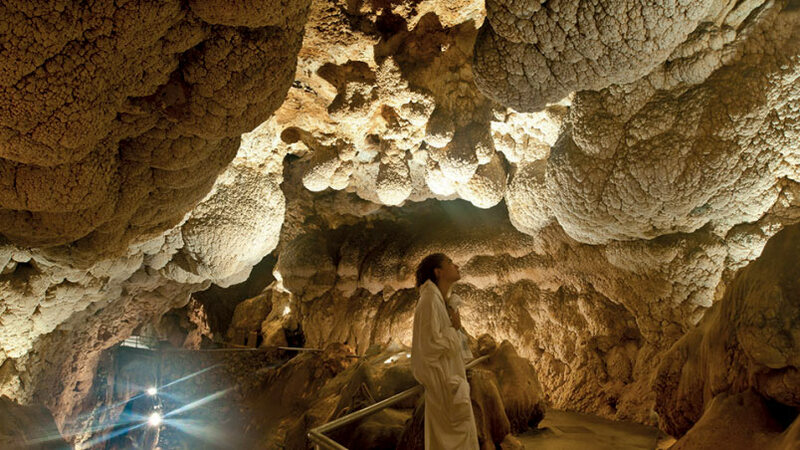 Discovered in the mid nineteenth century these thermal grottoes are the only ones of their kind in terms of therapeutic properties: hot, natural grottoes with all the most modern thermal facilities. 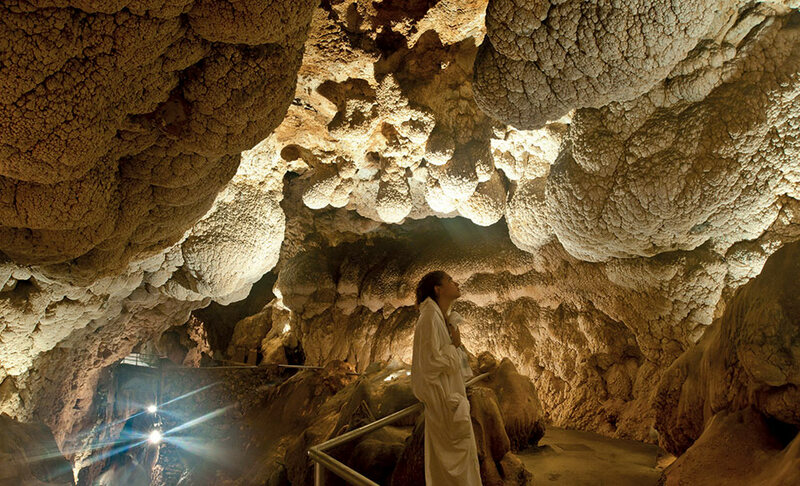 Called the eighth wonder of the world by Giuseppe Verdi when he went there, Grotta Giusti takes first place as the most important thermal grotto in Europe. It has a warm and humid microclimate which remains constant whatever the outdoor temperature. Moving from the entrance to the deepest part of the grotto, you pass through three different zones each one of which is warmer than the last and these have been called after the circles of the Divine Comedy: Paradise, Purgatory and Hell. Limbo is a picturesque mini lake with a constant water temperature of 36°C. Outside, alongside the open air spa swimming pool with its special 750 metre size, there are jet massage baths, scenic waterfalls and the natural grotto with its salso-sulphate-alkaline-earthy mineral waters generating a veritable thermal, purifying and de-tox vapour bath. Anyone who wishes to stay in the hotel adjacent to it which has conserved the historic feel of its past and accommodates its clients in a wonderful nineteenth century villa with frescoed rooms and period furniture and paintings. The wellness centre is equipped with large buildings for traditional thermal treatments: muds, inhalation cures and ozone baths and it also has a modern spa with an oriental area, a well equipped gym, a number of relaxation areas and a beauty medicine centre. Grotta Giusti Natural Spa Resort is located in a century old, 45 hectare park, the ideal natural environment for anyone looking for peace and relaxation.